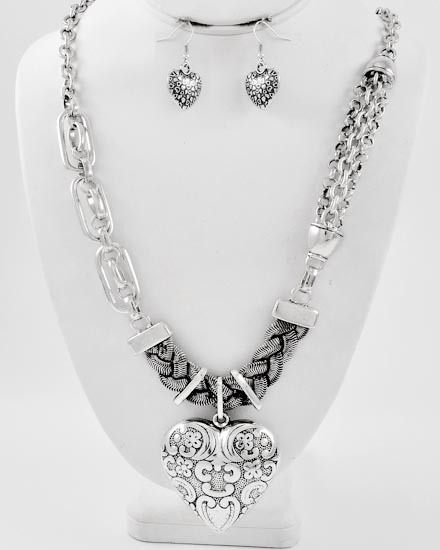 Unique Antique Silver Plated Long Heart Pendant Necklace and Fish Hook Earring Set features 34 inch necklace with two inch scrolled heart pendant on mixed link and braided chain. Matching pierced dangle earrings are hearts with tiny antique silver heart texture. Very unique set.